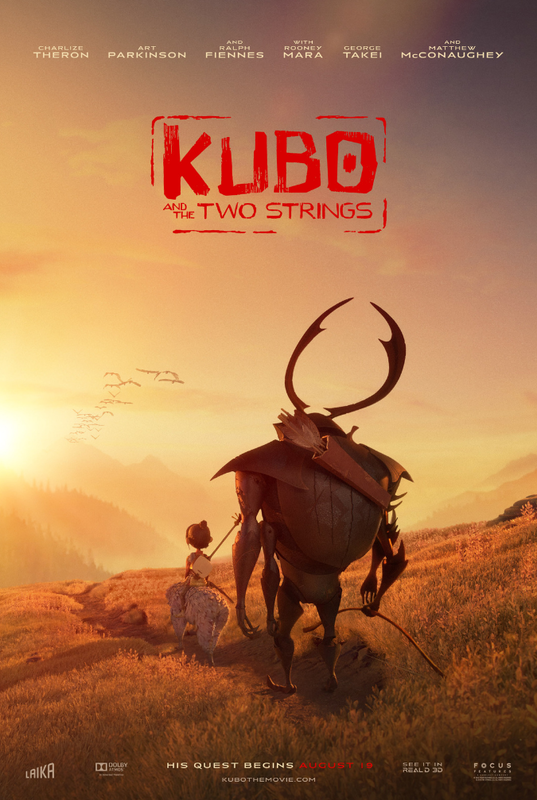 Laika is finally back this year as Travis Knight’s debut animated feature Kubo and the Two Strings arrives later this month and, in conjunction, Focus Features have released an extremely clever piece of marketing. A new interactive map has been shared via YouTube, which allows the user to click nine points on a gorgeously rendered map, allowing them to glide through treacherous seas, beautiful villages, and an ominously titled Hall of Bones. Each point tells a portion of Kubo’s journey, and explores some of the mythos of that particular area. This is a smart way to extrapolate the textured realm in a different way than the trailers have previously shown. Akin to the outside-the-box marketing of Pete’s Dragon, it’s refreshing to see time and effort put into the anticipation of a film, as opposed to the standard teaser for a teaser, followed by an actual teaser, then three trailers, and a by-the-books behind-the-scenes featurette template that has been plaguing most marketing, especially this summer This instead suggests care for the product — which, you know, is supposed to be art — and a confidence in the studio that their film is worth their time, and more importantly, yours. See the full map below (hint: don’t turn off annotations) before its release this month, as well as Dario Marianelli‘s entire score, featuring Regina Spektor‘s cover of “While My Guitar Gently Weeps,” which plays over the film’s closing credits, and there’s also a music video for it.